Same fight, different date. On Wednesday, it was announced the critical welterweight shootout between former interim champion Carlos Condit and Demian Maia will now serve as the main event at UFC Fight Night Vancouver. The UFC initially reported last month that the scrap would go down at UFC 202 on August 20. UFC Fight Night Vancouver takes place one week later inside Rogers Arena. Condit contemplated hanging up his MMA gloves after January’s highly controversial split decision defeat to current champ Robbie Lawler at UFC 195. 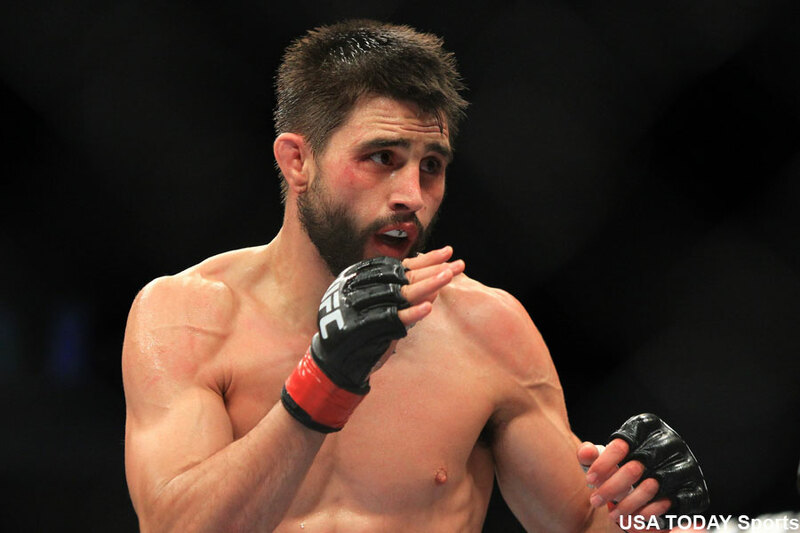 Condit suggested the only scrap he would return to the cage for was an immediate rematch with Lawler, but “Ruthless” was assigned to Tyron Woodley at UFC 201 instead. So, with Lawler off the table and retirement shelved for a later day, Condit accepted a bout against white hot Maia. Condit has dropped four of his past six fights. The 32-year-old hasn’t rattled off two straight wins since beating Nick Diaz in 2012 to capture the interim welterweight belt. Maia, meanwhile, is enjoying a late career resurgence on the strength of five consecutive victories. The Brazilian jiu jitsu specialist is coming off May’s submission over Matt Brown. It is unknown if UFC Fight Pass, Fox Sports 1, Fox Sports 2 or some combination of the three will make the card available for live viewing in America. No other bout have been announced for the lineup.